Expert Staff Concluded that the way to ‘Help Small Business’ is to Increase Fees to Drive Them Out of Town. The City of Beaumont has added a $15 ‘Renewal Administrative Fee’ to all Business Licenses Renewals. This new Fee was added in keeping with the City’s policy of ‘helping small businesses’. It’s illegal for government agencies to randomly charge Fees and Taxes, but ‘illegal’ is the only activity the City of Beaumont knows. Was this charge Approved by Council? I don’t remember seeing it on the Agenda. AB1379 was created in 2013 to provide a funding mechanism to train ‘Certified Access Specialists’ to ensure businesses are handicapped accessible. The Cities retained 60% of the money and were required to establish a separate bank account. The City is required to remit 10% to the State and deposit the remaining 90% of the money a separate ‘CASp Certification and Training Fund’ bank account, but Beaumont will just deposit the money into the General Fund. 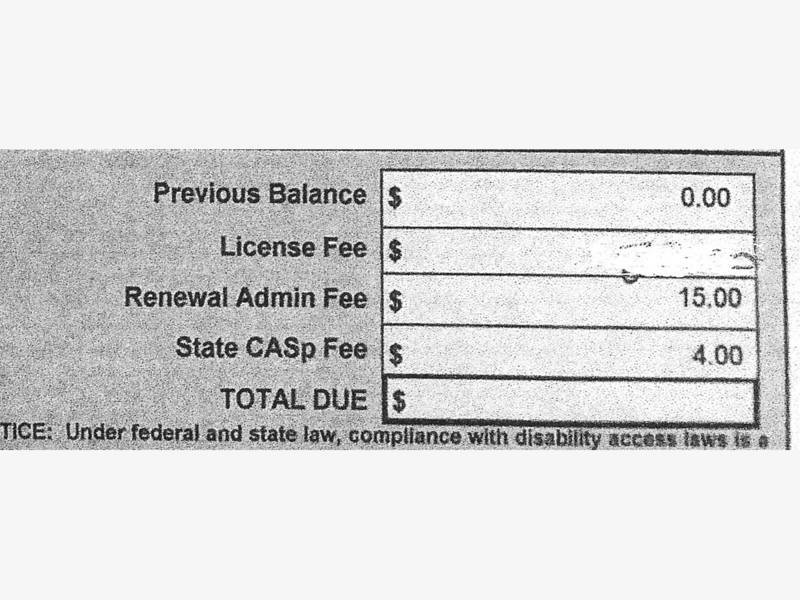 All documents concerning the creation of the ‘Renewal Administration Fee’ of $15 that has been added to the City’s business license this year.’All’ means all. All communication between Staff and Council, Studies performed, Agenda Items, Resolutions, etc. Bank Account holding ‘CASp Certification and Training Fund’ for Fiscal Years 2013-2017. General Ledger showing recording of ‘CASp Certification and Training Fund’ for Fiscal Years 2013-2017.